Huawei’s legal troubles abroad continue, this time with a espionage charges against a local director. 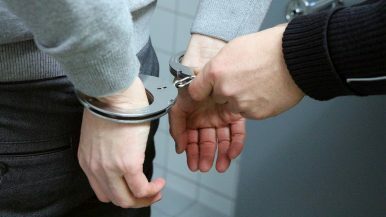 Poland has arrested a Chinese manager at tech giant Huawei’s local office and one of its own former counterespionage officers. Both men have been charged with spying on Poland for China, state television and officials reported Friday. The development comes as the United States is exerting pressure on its allies to block Huawei, the world’s biggest maker of telecommunications network equipment, over data security concerns. The two men were arrested Tuesday, according to Poland’s Internal Security Agency. Polish security agents also searched the Warsaw offices of Huawei and Orange, Poland’s leading communications provider, where the former Polish spy recently worked, seizing documents and electronic data. The homes of both men, also in Warsaw, were searched as well, according to agency spokesman Stanislaw Zaryn. Geopolitical tensions over Huawei intensified after Meng Wanzhou, its chief financial officer as well as the daughter of the company founder, was arrested December 1 in Canada in connection with U.S. accusations that the company violated restrictions on sales of American technology to Iran. Huawei has been blocked in the United States since 2012, when a House Intelligence Committee report found it was a security risk and recommended that the government and private companies stop buying its network equipment. Critics claim that Huawei has close ties to the Chinese government and thus could be coerced into using company equipment for espionage or even cyberattacks as directed by Beijing. Huawei has always maintained that, as a privately owned and operated firm, it does not pose a special security risk. Instead, many analysts in China have painted the attacks on Huawei as an attempt to thwart the rise of a Chinese technological giant, and insulate Western firms from competition. By Vanessa Gera for the Associated Press. Kelvin Chan in in London and Joe McDonald in Beijing contributed to this report. The Diplomat also contributed reporting. Both cases point to a deeper problem with China’s Central and Eastern Europe strategy.